The University of Plymouth has more than 100,000 alumni in more than 100 countries and is among the highest-ranked modern education institutions in the world. It is noted for its research and teaching and the high ambition of its staff and students. The university specialises in arts, humanities, business, health and human sciences, medicine and dentistry and science and engineering. 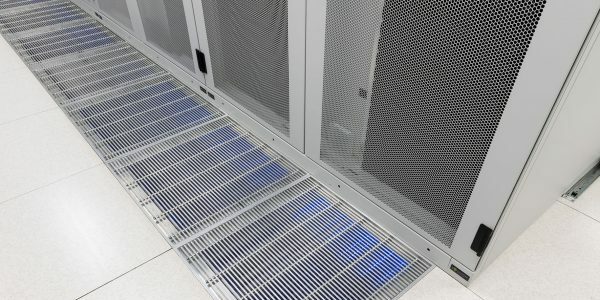 The University’s primary data centre required a cooling upgrade. Its existing system was nearing the end of its life and there was a need to increase the capacity and capabilities to enable installation of high performance computing (HPC) hardware from the School of Applied Mathematics. The university needed to keep its site live while the new cooling system for its existing data centre was installed. 2bm came up with an extremely energy efficient and resilient option which resulted in a short return on investment and very low operating costs. The project timescale was initially 16 weeks but practical completion was 12 weeks. The existing cooling infrastructure was installed ten years ago with air-cooled chillers and in-row cooling units. 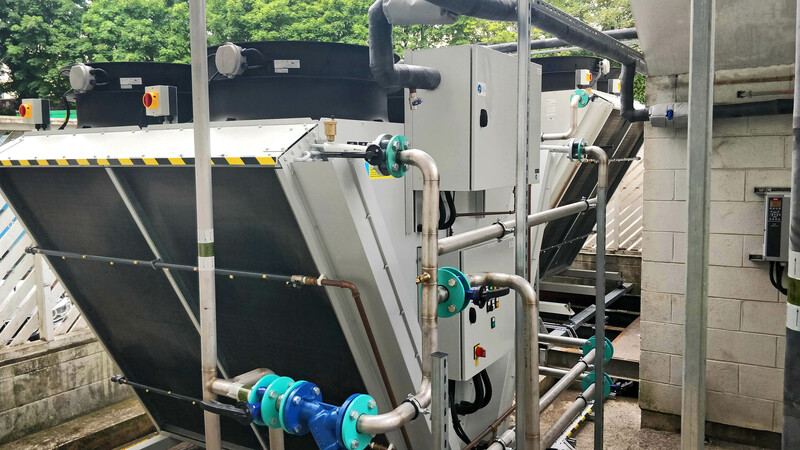 The installation was of a high standard but the coastal environment and age of the chillers meant that they needed replacing. There was the potential to make large improvements through a revised design and 2bm offered several options before the way forward was agreed. The base requirement for the cooling refresh/upgrade was to provide an N+1 resilient solution which was capable of delivering 100 kW of cooling capacity to the existing data centre and also to a new HPC cluster for use by the School of Applied Mathematics. The team needed to keep the existing system running at all times during the switch-over to the new system. There was limited space in the plant area and the room required modifications to ensure health and safety compliance with the installation of the new hardware. New environmental monitoring system with rack inlet, hot-aisle temperature and humidity sensors with full plant monitoring.hot-aisle temperature and humidity sensors with full plant monitoring. Completion time was 12 weeks to practical completion – four weeks ahead of schedule. The drop in power consumption when the new system was enabled has been in-line with 2bm’s original estimates which is fantastic. We were ultimately thrilled with the decision to upgrade to a new system, versus the original plan to swap out the old chillers for a like-for-like replacement. 2bm adjusted to changes in the project and have delivered us a solution that demonstrated performance over the hottest period of the year.